Chicken Lettuce Wraps are Asian inspired lettuce wraps loaded with bold flavors! This easy appetizer recipe is ready in only 20 minutes! If you have ever been to P.F. Chang’s, chances are you have tried their amazing PF Chang’s chicken lettuce wraps. 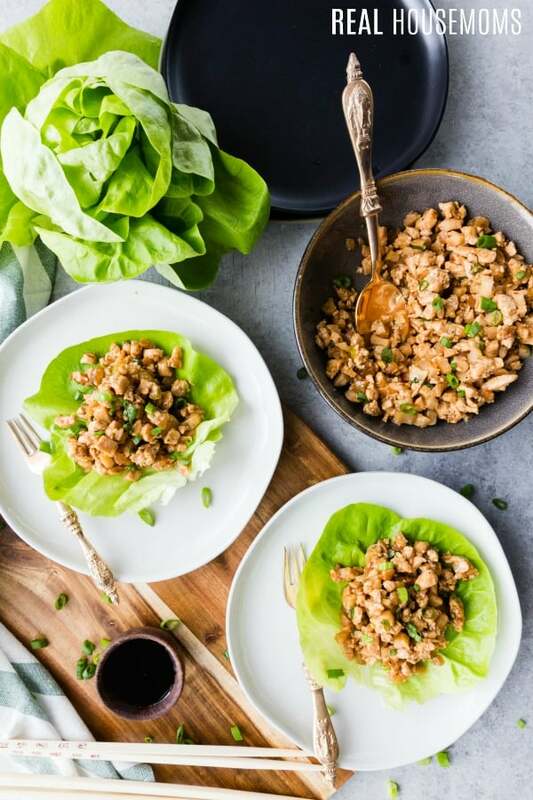 This chicken lettuce wraps recipe is inspired by the restaurant favorite, mimicking the bold, delicious flavors, but in an easy to make at home version. With hoisin, oyster sauce, ginger, and garlic, along with all the regular players like chicken, water chestnuts, etc. 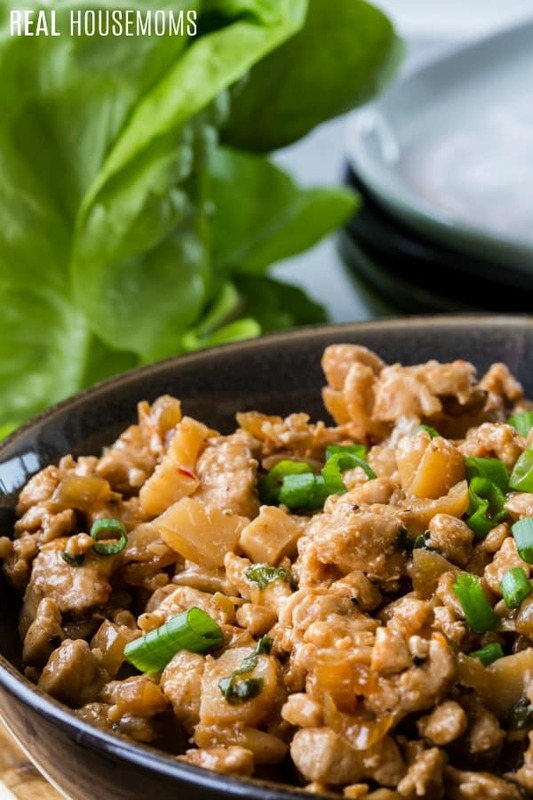 you are going to fall head over heels for these amazing chicken lettuce wraps! 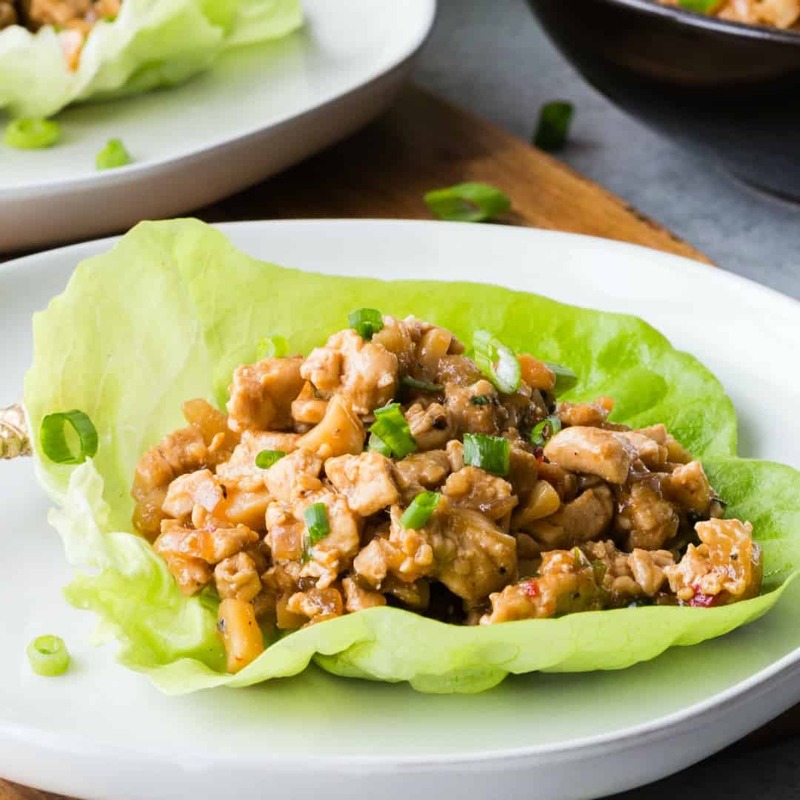 Whether you want a fresh, easy, meal, or are looking to achieve a take-out fake-out, or just an Asian themed dinner, these chicken lettuce wraps are for you. They are insanely good. They are crunchy, hearty, and oh so tasty. I usually flip flop between these Asian chicken lettuce wraps and Instant Pot Mongolian Beef when we’re craving Asian flavors. 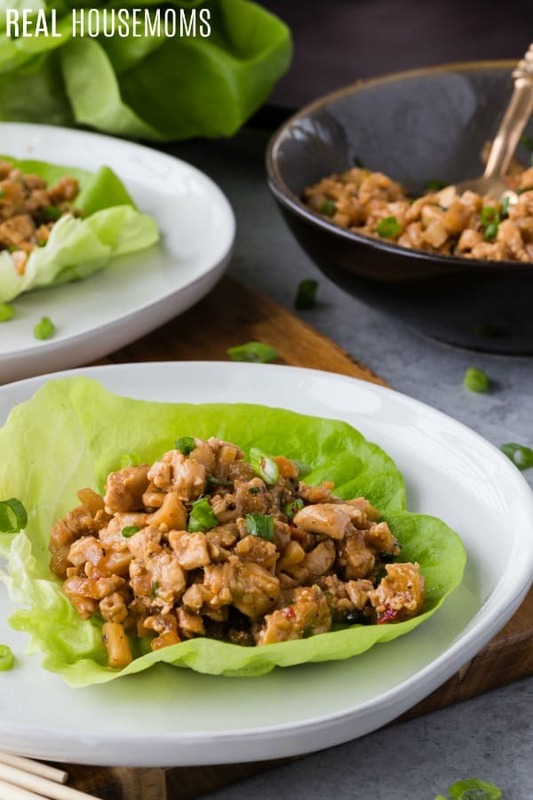 One of the things I love about these chicken lettuce wraps is that much like the restaurant version, you can tweak them to your personal flavor profile. You can add some hot sauce if you want a kick of heat to them. You could make them a little sweeter with extra brown sugar. Or you can leave them as is. They are not too hot for kids and perfect for adults. We love a good appetizer with dinner, so if you are just looking for something light but filling to play the appetizer before something like this 30-minute Cheesy Garlic Shrimp Alfredo, these lettuce wraps could be a great option. You can also add chow mien noodles or rice noodles on top for extra crunch, or even some peanuts. There are a lot of fun ways to mix things up with these chicken lettuce wraps. My family loves dipping them in Garlic Plum Sauce too. It’s just like being at the restaurant! My husband loves when I make them and put some aside for him to take to lunch later in the week. I will simply put the filling in a container that can be microwaved, along with a few leaves of butter lettuce, and he has a healthy and filling lunch on the go. If you don’t like water chestnuts you can try Jicama. If it’s a texture thing altogether then you can either omit them or substitute in carrots as well. Good luck! Can you use can chicken? I think you might run into an issue of the chicken drying out during the cooking process, and due to the sauces and ingredients used you will definitely want to cook this. My recommendation would be to stick with ground chicken or chicken cut into small pieces.